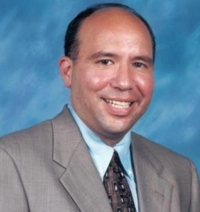 Doctor Trevino is Associate Professor of Dermatology, Interim Chair, and Program Director of the Dermatology Residency Program at Boonshoft School of Medicine, Wright State University, Dayton, OH. He received his medical degree from the Wright State University School of Medicine, completed an internship and residency in internal medicine at the Cleveland Clinic, and a dermatology residency at Wright State. He is board-certified in both dermatology and pediatric dermatology and is a Fellow of the American Academy of Dermatology, Trustee, former President, and President-elect of the Ohio Dermatologic Association, and Member of the Association of Professors of Dermatology, the Society for Pediatric Dermatology, and the Leader’s Society of the Dermatology Foundation. Trevino also serves as Chief of Dermatology for the Dayton VA Medical Center and Head of the Division of Dermatology for Dayton Children’s Medical Center. His special interests include immunobullous disorders and skin infections in pediatric and adult patients.